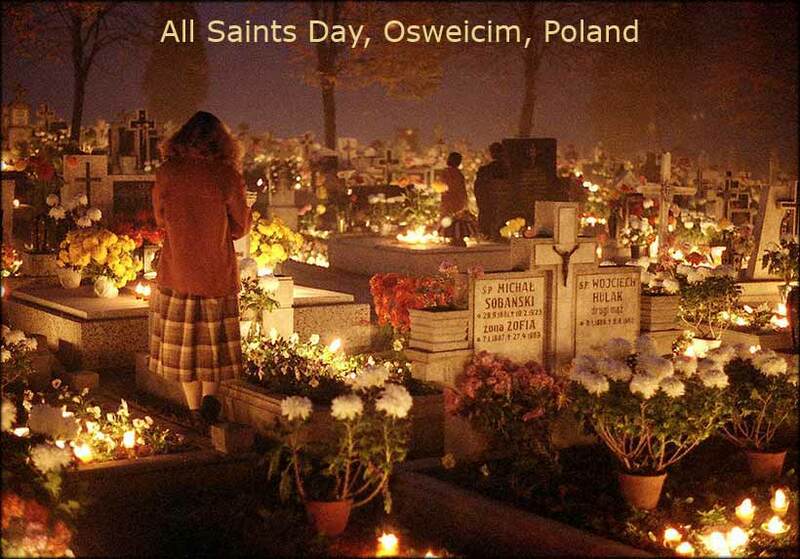 A favorite everywhere for All Saints Day: I Sing a Song of the Saints of God. Paul has spent a considerable time to convince us that, having died with Christ, we lead a new life in the Spirit. Through the power of the Spirit, we can fulfill the requirements of the law, which was impossible. Still we have hardship. The Spirit cannot be seen and we must suffer the pains of life on earth, just as Christ did. But having said this, Paul utters one of his most memorable lines to console us: "I consider that the sufferings of this present time are not worth comparing with the glory that is to be revealed in us." This is actually one of promises God makes to us. God keeps his promises, even when we do not. He has promised us salvation through grace, if we believe in his Son, if we follow Christ. But the time we are in now is like the groaning of childbirth. All of creation is suffering and the end of it cannot be seen, for, like childbirth, the fruit of our labors cannot be seen until the time is done. We all realize what it is we do when we have faith in Christ. We have hope and faith in something that cannot be seen. Some people scoff, because they cannot or will not believe something they cannot see, right now; and in fact, some people could not believe in Christ even when they could see him, even when they witnessed the miracles he performed as signs of his divinity. In Columbus' first trip across the Atlantic, he almost failed because so many of his sailors lost faith. There was nearly a mutiny after a long voyage, when land was still not in sight; and the sailors' lack of faith almost turned the ship around when it was only days from the New World. Faith is hope in what we cannot yet see, but are sure in our hearts will come, and faith is patience, knowing that the reward will come when it comes.